We hope you all had a fabulous weekend! Today we are back with some of our favorite Spring accessories. 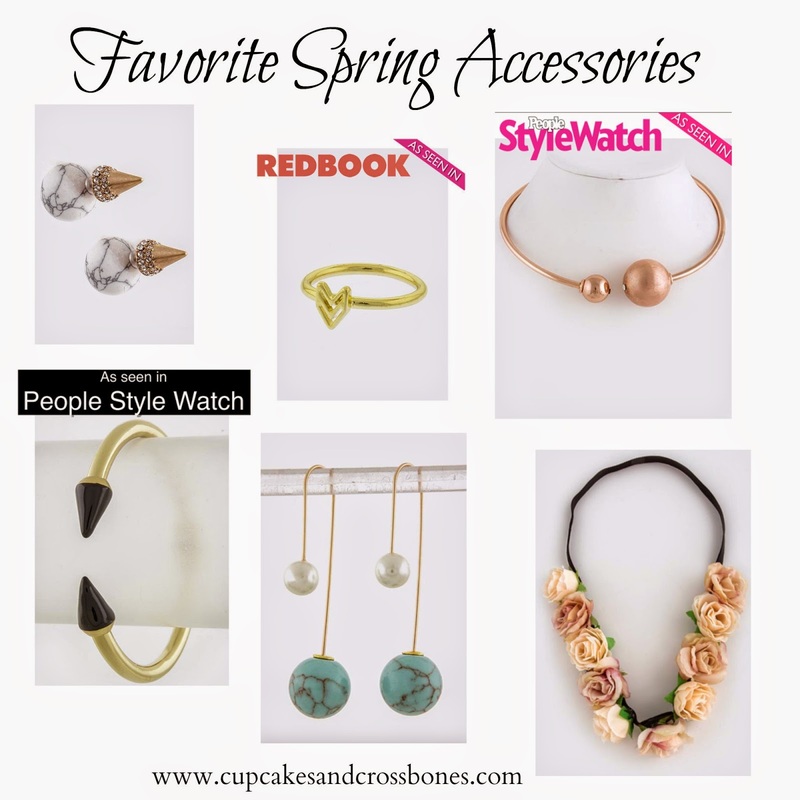 Since we discussed with you last week our Spring Fashion Favorites, it only seemed fitting that we share with you this week our favorite accessories for this year. we have you covered with a list of all the must have accessories you need this spring. Did we mention they were all around $30 and under? Which accessory are you loving and adding to your collection this Spring? the double sided earrings are awesome! I love them and always get compliments on them. Those double sided earring are nice. I am so bad at remembering to wear accessories. I fail! haha sometimes its hard to remember when you are in a rush in the morning, but they are a great way to spruce up an outfit! Loving that cone bracelet! And honestly all of it - it's always fun to pick up a few new pieces for a new season! I love all the bracelets. So pretty! Isn't it cute? We love it too!